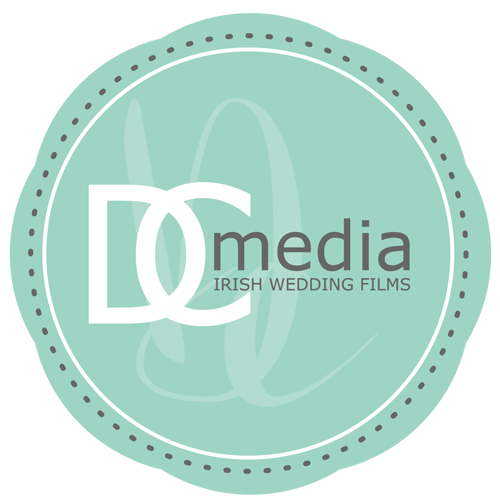 DC Media, Irish Wedding Films. Wedding Videographers - DC Media. We are Ireland’s premium Wedding Videographers with over 15 years experience in event & wedding videography production. We produce stylish and elegant wedding films that capture your day's special moments in a natural and organic manner. We are renowned for being discreet and unobtrusive wedding videographers and we film footage that captures all those special moment that unfold throughout your wedding day that make it such a memorable occasion. For wedding videography samples please browse our work on our Portfolio and Blog Page. Remember on your wedding day there are no second takes. With well over 800 weddings under our belt we have the professional experience your wedding video deserves. For queries and availability please contact david@dcmedia or complete the availability form on our contact page. We would love chat to you about your big day! on your upcoming wedding! Please take the time to browse our wedding videography work on our sample and our blog page. Please feel free to get in touch should you have any questions. Outstanding, incredible, professional! Those are a few of the words we have used to describe our wedding DVD. The team at Irish Wedding Films are masters of their trade. Rachel & Sean.. Contact Irish Wedding Films today to get a wedding video quote. We are always happy to talk to new clients, drop us a line, send us an email or fill out the enquiry form below. About DC Media: Irish Wedding Films, part of DC Media Productions, is a vibrant and innovative wedding videographer. We are Ireland's leading wedding videographers, specialising in video production and high quality wedding videography. We provide various types of video production that accommodate all client budgets. We are the ideal wedding videographers if you are planning your wedding in Carlow, Dublin, Kildare, Kilkenny, Laois, Longford, Louth, Meath, Offaly, Westmeath, Wexford or Wicklow.